Peruvian archaeologists uncovered the remains of Chinese migrants in pre-Incan burial grounds in Huaca Bellavista in Lima. 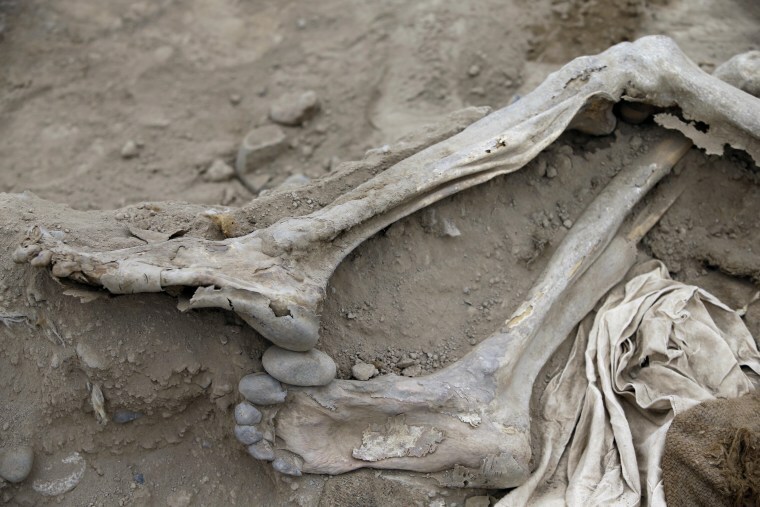 The bodies of the migrant workers date back to the nineteenth century. Because Chinese migrant workers were not Catholic, they were not allowed to be buried in cemeteries. Thus, workers buried their friends and loved ones in the fields where they worked. Between 1849 and 1874, 80 to 100 million Chinese arrived in South America, according to Taiwanese historian Diego Chou, an expert in Latin American migration who was quoted in the newspaper Milenio. Many were kidnapped or tricked into enduring a 120 day journey on boats referred to as infiernos flotantes or "floating hells," from China to South America. The Chinese in Peru “had a horrible life,” said archaeologist Marco Valderrama, speaking to reporters about the discovery. Upon their arrival, migrants faced discrimination in Peru as semi-enslaved workers. They tended cotton fields, worked in agriculture, railway construction, and removed bird excrement. Archaeologists who uncovered the bodies found migrants’ personal belongings buried with them, some of the most notable were opioid pipes. Opioid was made popular in Peru by the English, and smoking opioid became a common recreational activity amongst migrants. There is a sacred civilization that pre-dates the Incas, in Peru called “Ichma”, where the remains of many Chinese workers are.